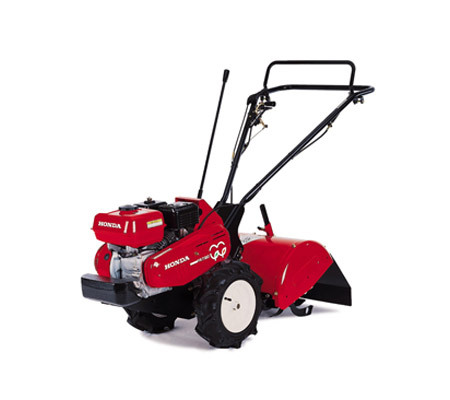 Why should you buy Tillers with us? Many of our larger tillers come with counter and forward rotation capability, ensuring that you are able to cultivate the soil accordingly. The counter mode is ideal for heavily packed soil whilst the forwards mode is perfect for use during the season. 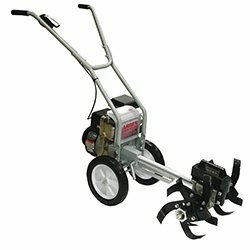 There are a number of practical accessories available to enhance your tiller experience, including: tines, aerator, lawn edger and cleaning brush. This provides you with many tools in one! To help avoid running out of fuel mid job, many of our tillers feature a transparent fuel tank. This allows you to see when you are getting low, giving you plenty of time to add in more fuel. It also allows you to see any contaminants in the fuel. 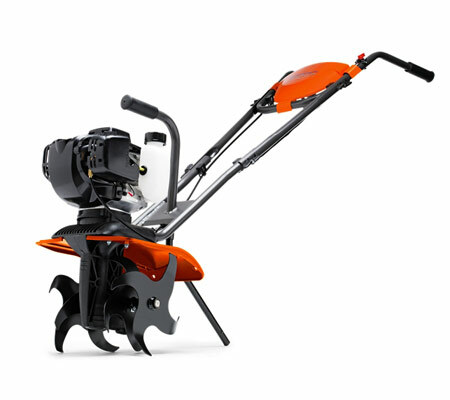 Each of our machines features comfortable handlebars that allow you to push the machine forwards with ease. Many models have adjustable bars for your height convenience. The padding also helps to provide protection against vibration. 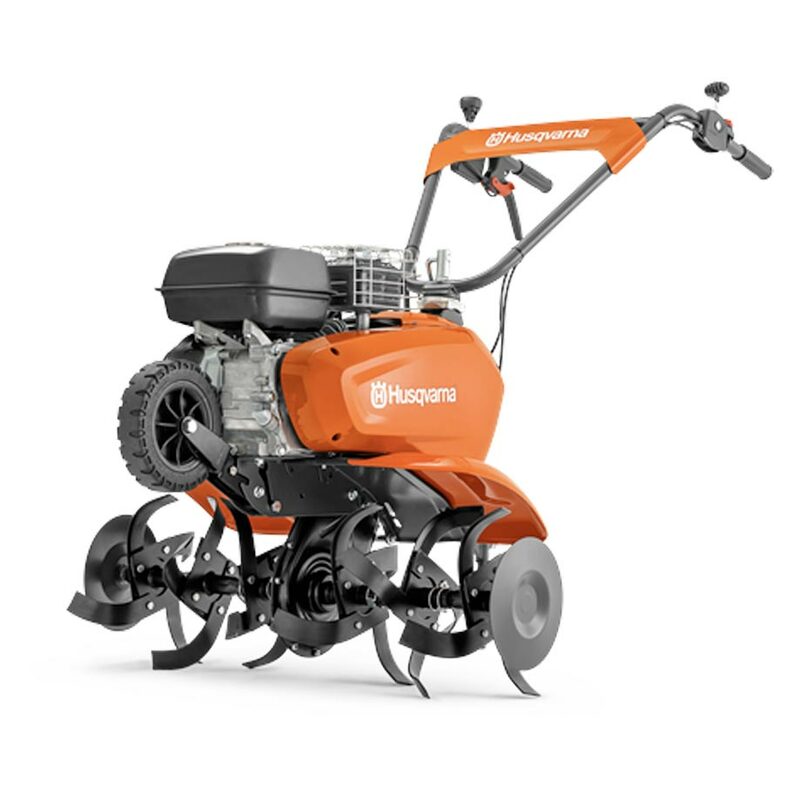 What is the difference between a tiller and a rotary hoe? 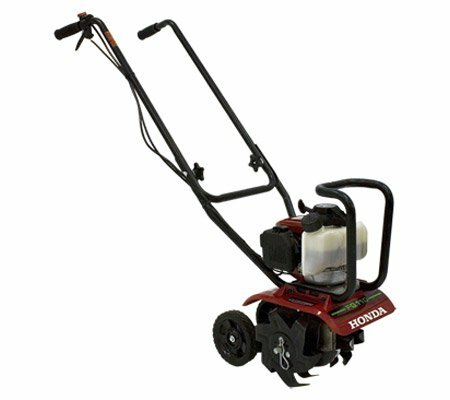 A tiller is usually a smaller machine designed to work on smaller gardens, where the soil has previously been broken and worked. A rotary hoe is a larger machine capable of breaking virgin ground and they often have counter rotating tines which helps to get through harder ground. Can I use a tiller for other purposes? 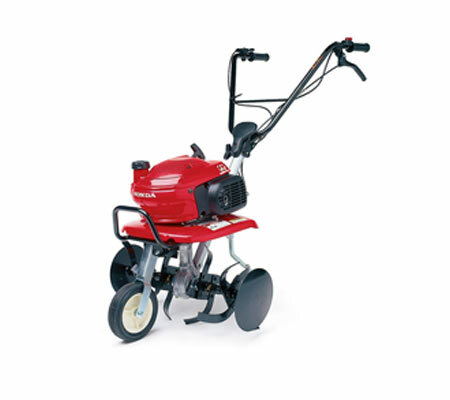 Some of our tillers have attachments available including an aerator, edger and a brush. 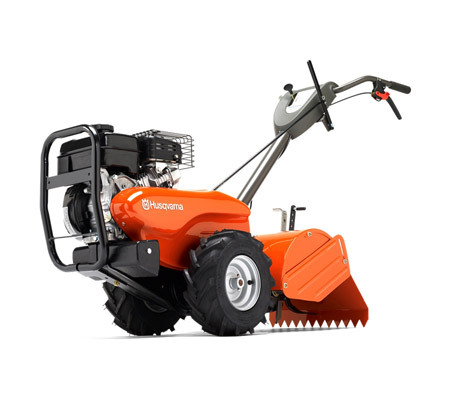 The Hastings Mowers team is able to service all areas of Melbourne, including: Somerville, Mt Martha, Frankston, Flinders, Rosebud, Mornington Peninsula, Gippsland, Cranbourne and Hastings.